The seating bowl renovation is behind schedule due to the "long, hard winter." It's a work-in-progress, and some seats have yet to be reinstalled. 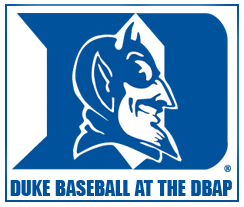 Blue Devil fans, please accept my apologies. This is not the welcome we had in mind. ...but put on your ball cap (you don't need a hard hat)...the field is ready...the sun should be shining...Duke baseball comes to downtown Durham! Temperatures are approaching seventy degrees under sunny skies in Port Charlotte as pitchers and catchers report to Rays training camp. Manager Joe Maddon and EVP Andrew Friedman met the media Thursday afternoon. In an mlb.com story the two agree that the 2010 club is loaded for bear. "We feel like we have a very talented team, the most talented team in Rays history," Friedman said. "And so with that, we feel confident we'll be able to play competitive, meaningful games in September." 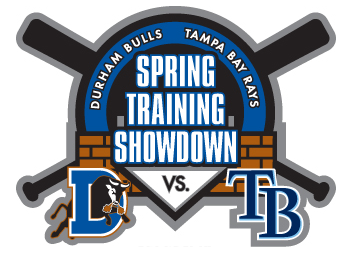 At the risk of repeating myself, I’m compelled to remind my readers that the Rays will end Spring Training with an Exhibition Game against the Bulls here in Durham on April 3rd. That’s the Spring Training Showdown, 3pm, on the Saturday of Easter weekend. Carl Crawford, David Price, James Shields, Ben Zobrist and 2009 Gold Glove and Silver Slugger Award Winner Evan Longoria return to the DBAP for this special event. Click here to get reacquainted with these former Bulls who made it to the show. It will be an unforgettable afternoon. We’ll open the gates two hours early. You can watch the Rays take BP, crowd around the dugouts for an autograph, maybe catch a homer in the outfield seats!?! The Rays are bending over backwards to play this game in the Bull City. On Friday night the Major League club has an exhibition game against the Mets in St. Pete. Saturday morning they will board a charter flight for Durham, play the Bulls and return home that evening. I get tired just thinking about it. The Rays are traveling 1400 miles to see you. Certainly, you will make the trek to downtown Durham. Click here for ticket info. 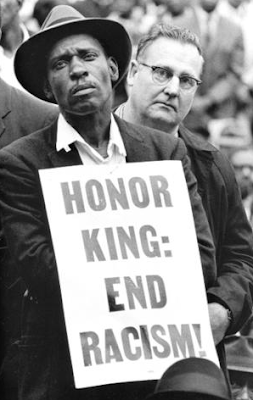 Forty-two years ago Burk Uzzle photographed the aftermath of Martin Luther King’s assassination - the mourning in Memphis, the funeral in Atlanta. One of his photos was on the cover of Newsweek at the time, but forty rolls of film were archived. News & Observer article on the exhibit. American Tobacco Campus web site. Rewind to 1967…Los Angeles Memorial Coliseum...and the first Super Bowl. Coach Vince Lombardi’s Green Bay Packers vs. the Kansas City Chiefs. Green Bay’s Bart Starr is 16 of 23 for 250 yards and two TDs. He’s chosen MVP in the Packers 35-10 win. Super Bowl I did not represent the advent of championship rings. It began with hockey. The first Stanley Cup championship ring dates back to 1893, the first year of the Stanley Cup, won by Montreal. And the first championship ring awarded to players by their team was for the 1922 NFL World Champions, the New York Giants. Check out myjewelrybox.com for photos. You can tell I’m excited about the Bulls’ championship ring. 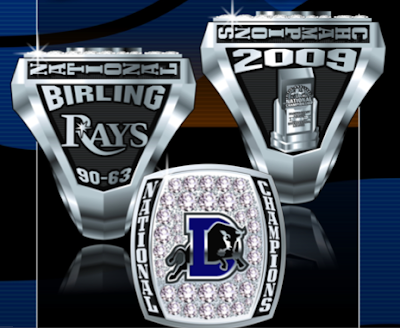 2009 was a special, extraordinary season, and this is unique bling. 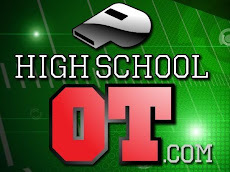 So, I was chagrinned to learn that you can order your own championship ring if you’re the top dog in your fantasy sports league or a master at Madden NFL. Wait a minute - I’ll get a ring for being a front office desk jockey. Who am I to complain!? !